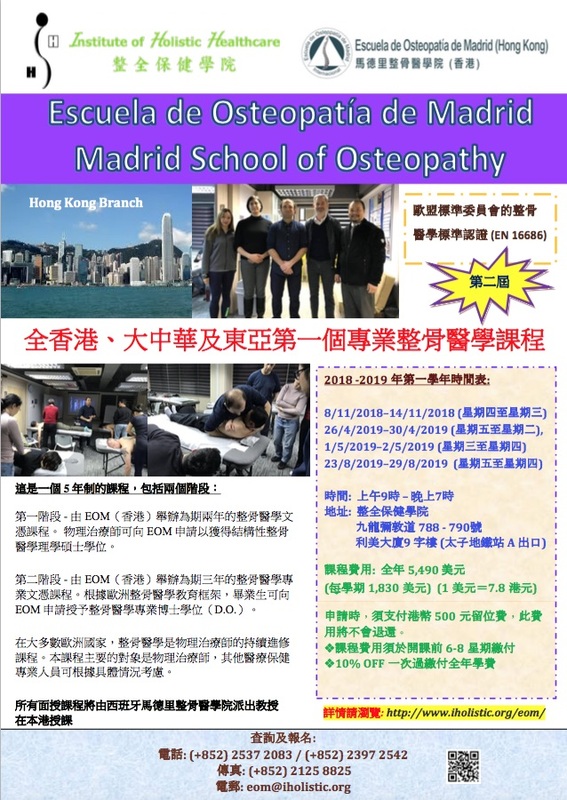 Stage 1 – two years program leading to the Diploma in Osteopathy for the Locomotor System issued by EOM(HK). Physiotherapists may apply to EOM for an MSc degree in Structural Osteopathy. 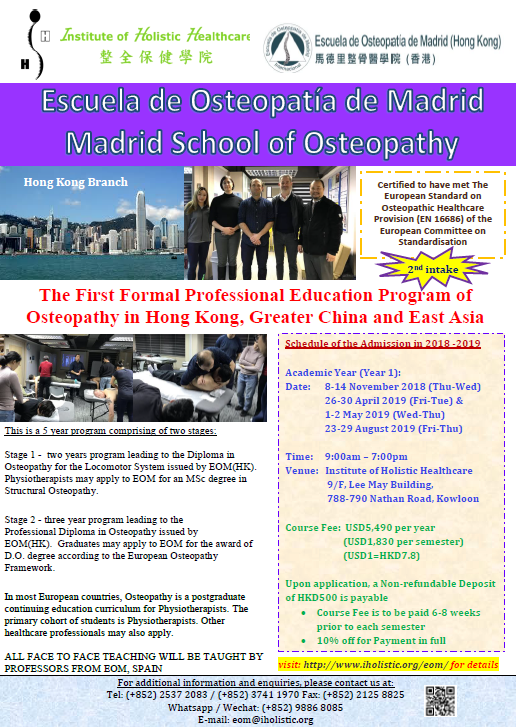 Stage 2 – three year program leading to the Professional Diploma in Osteopathy issued by EOM(HK). Graduates may apply to EOM for the award of D.O. degree according to the European Osteopathy Framework. 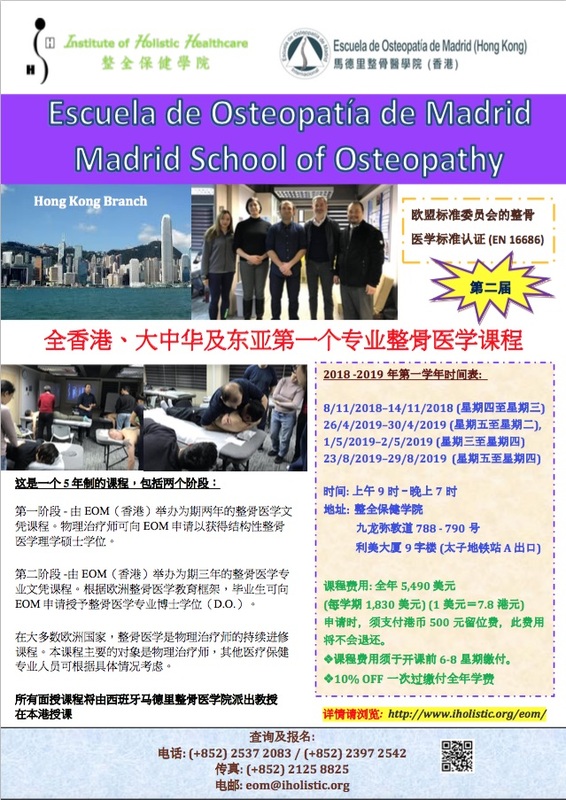 In most European countries, Osteopathy is a postgraduate continuing education curriculum for Physiotherapists. The primary cohort of students is Physiotherapists. Other healthcare professionals may also apply.